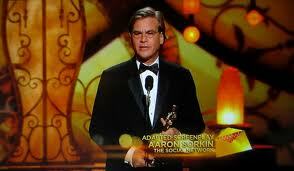 As many of you are no doubt aware, I have a huge man-crush on the amazing, Academy Award winning Aaron Sorkin. If you weren't previously aware of that fact, you are now. That love affair started early for me. 1999 to be exact. As a huge fan of both amazingly well-written dramatic television and of sports, it should come as no surprise that one of my favorite television shows of all time is Sorkin's Sports Night. 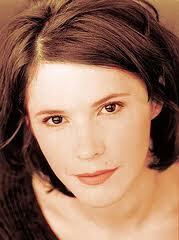 However, the reason that I gravitated to the show was probably more due to the presence of Sabrina Lloyd. You might remember her as Wade in Sliders, which was a particular love of mine at the time. Seeing that she was on a new television show, and a show about a Sports show similar to Sports Center at that, meant I had no choice but to watch. but at the time, it was wholly new and refreshing. I recently completed a re-watch of the show thanks to the magic of Netflix (I also own the complete series on DVD, but for some reason, hadn't watched it in a while until seeing that it was on Netflix Instant View), and the show has aged incredibly well. and how could one not love West Wing, there were times when the show faltered a bit for me (especially once Sorkin left the series, although it recovered to finish strong). 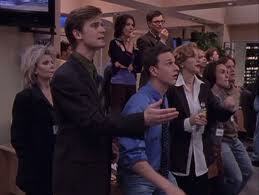 I was also a fan of Studio 60, although it never quite had the magic that Sports Night and West Wing did. For my money, however, Sports Night was the best television show that Sorkin has yet given us (sorry all of you West Wing lovers out there). And it isn't because in the 3rd episode there is a TCU reference (GO FROGS!) or that in the 4th episode there is a mention of Toulouse (my last name). Okay, okay, it isn't JUST because of those things. It's because I love the characters, and the story lines are so perfect. You believe everything that happens in the show since the drama comes out of the characters naturally. The show also perfectly captures the drama and emotion inherent in sports. The drama and emotion of the sports stories they are covering combine with the drama and emotion of the stories the characters are living. It is impossible to keep from laughing hysterically one moment only to be fighting back tears the next. Sports Night was a television show that was desperately ahead of its time, another reason that it holds up so well. If you've never watched the show, give it a chance. Other than Sabrina Lloyd, the show featured Peter Krause (which might be the one good thing about this show ending when it did, otherwise we might never have gotten Six Feet Under), Felicity Huffman (an Oscar nominee herself, as well as one of the Desperate Housewives) Josh Charles (now doing great work on last year's Josh's Choice for Best New Show of the Season award winner, The Good Wife), Joshua Malina (who would go on to be an important part of West Wing, and has recently been a recurring character on the fantastic In Plain Sight), and Robert Guillaume (who is probably best known for his work as Benson on Soup and the spin-off Benson, but also voiced Rafiki in The Lion King, which is fun since the Broadway play The Lion King plays a significant role in one of the episodes of Sports Night). 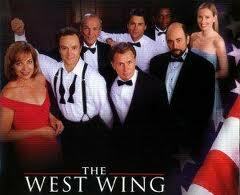 The acting is top-notch, as it should be when the writing is this good (Aaron Sorkin, after all). Dan - Those stories and more. You're watching Sports Night, so stick around. Until Next Time, check the show out for the first time if you somehow missed it and watch it again if its been awhile.